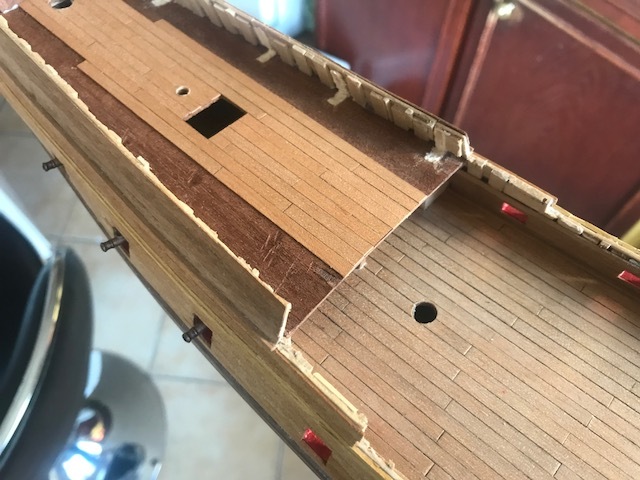 Do you know of a french forum Marine et Modelisme I think?. Here is the address.:-http://5500.forumactif.org/. There is also a Belgian forum .They both have very good modelers. It's possible they might help with purchasing some very good wood for your railing cap. I would suggest some pear wood. Very fine grain and it can be painted black to look like ebony or oak. These modelers mostly do "scratch" models , but don't be afraid---ask. Bonne chance! Hi Keith ,what is the web address for the Belgian forum?? I have received help from them years ago. 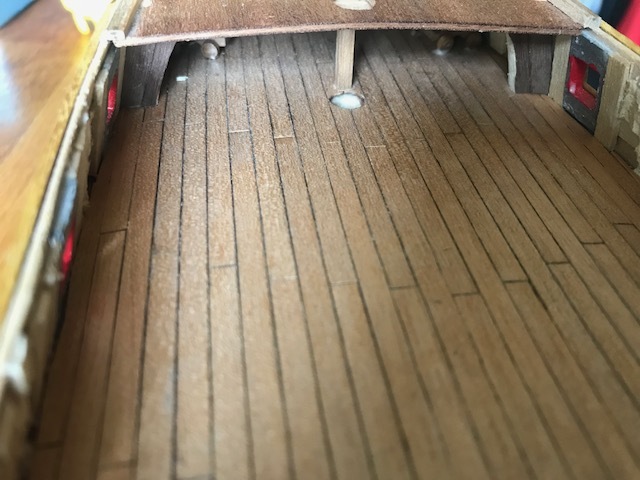 Some of the best woods for ship modeling are "fruit woods", such as apple, pear, cherry,maple, and box. Unfortunately they are not easy to find. I think in Paris you might try makers of musical instruments (lutiers)or furniture makers. They might even machine it to the thickness and width you require. The thing about all of these fruit woods is they are usually fine and straight grained, sand ,bend and plane well. thank you for your answers, I'll check that. In Paris, we have a store called EOL, who is the only one in Paris area to provide wood for models. But it seems there is a shortage for walnut planks. here are the updates. 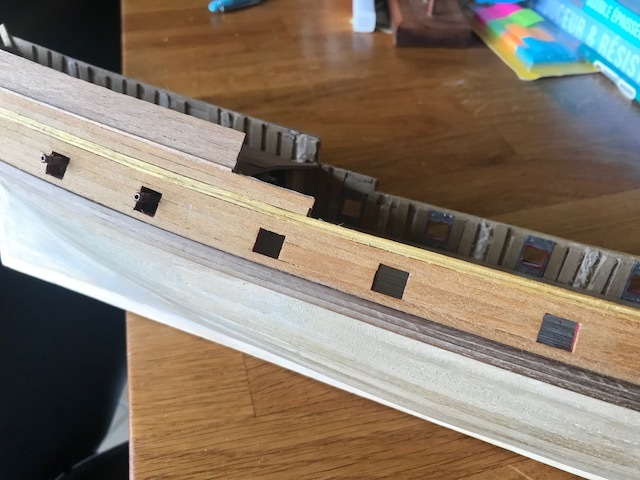 I started to plank the external layer of the hull. The question is now : leave the ship unpainted or paint it with black&white, or even yellow, black, white. Anybody knows if it is true that some ships have the hull under water level in white ? By the way, I'll start to shape the masts. Do you know where I can find tips for that ? Do you use technics with a vice or a drill ? Hallo Fabien, I have never used a lathe or drill for making masts. Can you post a picture of the mast from your plans? 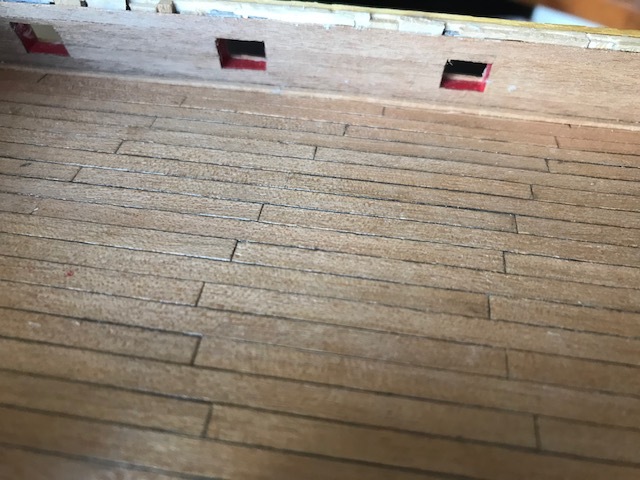 I do masting by going from a square section to a round one by hand planing a piece of stock held in a "bench vee jig". I Know--- sounds labour intensive doesn't it? but the reason is, masts went from round to square section at the top. Let's see your plan.